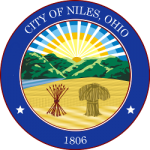 The Auditors office is in charge of handling all financial areas of the City of Niles. Managing budgets, paying bills and authorizing vendors who do work with and for the City. 2018 Financial Report coming soon! Updated Revenue Reports coming soon! Updated Expense Reports coming soon! If you or your business is interested in doing business with the City of Niles, click here to register as a Vendor. Search for current and past City of Niles RFPs, Bids, Contracts and Procurement Opportunities.